Enriching lives and building community through the power of choral music. Our debut recording! This performance was recorded live on February 12, 2011 at the O'Shaughnessy in St. Paul, Minnesota. 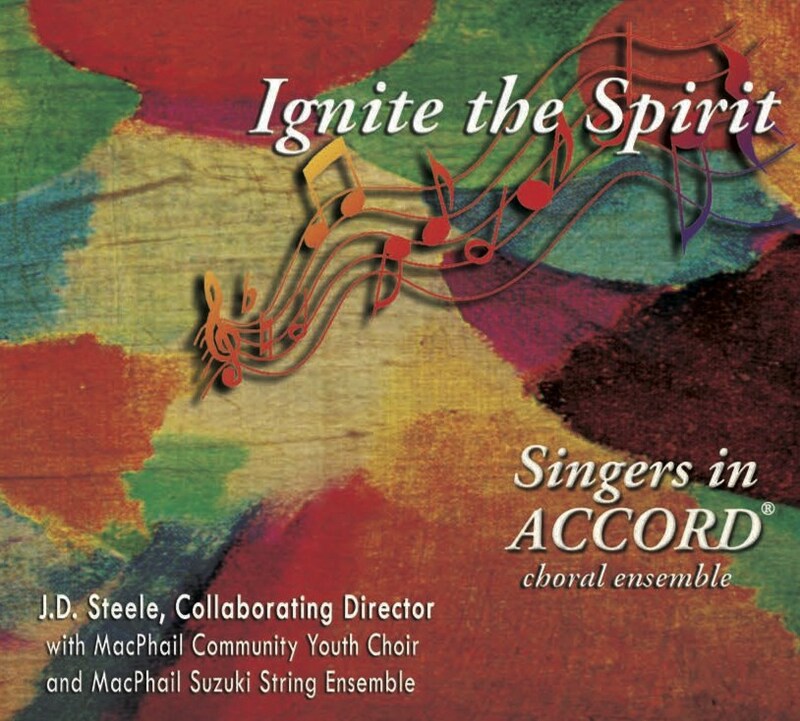 The concert was a collaboration between Singers In Accord, JD Steele, Fred Steele, the MacPhail Community Youth Choir, and the MacPhail Suzuki Strings, in a benefit for the Shangilia Foundation USA and Shangilia Youth Choir of Kenya. Yours for $15 plus shipping.